2014’s John Wick is a prime example of the modern-day American action movie done to perfection; a supercool merging of Jean-Pierre Melville’s existential noir classic Le Samourai with the ultra-choreographed gunplay of John Woo’s The Killer. 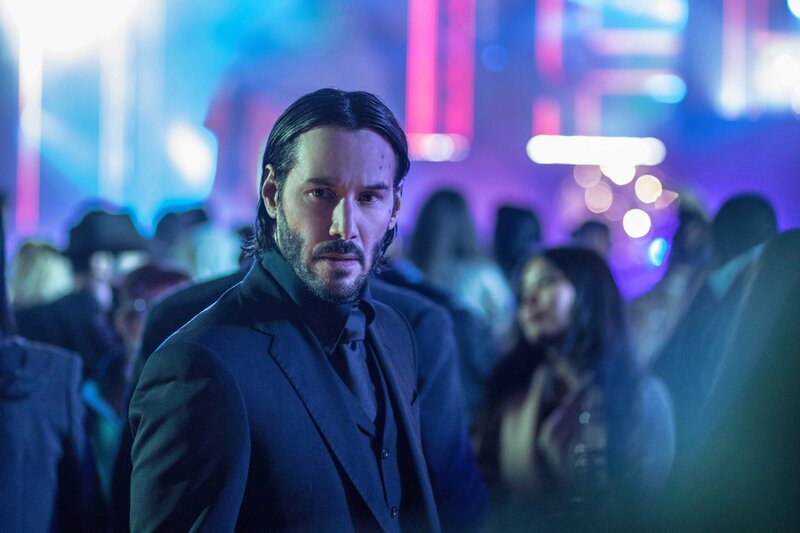 A sleeper hit overseas, it nevertheless failed to score a cinema release here, yet has become enough of a cult success via other means to ensure local screenings of the inevitable follow-up, and while John Wick: Chapter 2 is arguably a notch below the first, it’s still a fine continuation that broadens the canvas in interesting ways without getting caught up in unnecessary backstory. Opening with a full-throttle set piece that finds our hero (a superb Keanu Reeves) taking back his classic ’69 Mustang (rudely stolen by Russian gangsters in the previous instalment), the film makes it clear that fans of the original’s beautiful and balletic bloodletting won’t be disappointed this time around. Newbies may want to catch up however, as Chapter 2’s keen expansion of the heightened comic-book reality of the first film does require some previous knowledge of its arcane rules and ethical code to get the full effect, and to its great credit this sequel doesn’t attempt to lay them out a second time. On the down side, there’s now a sense that it’s just a placeholder for a wider tale, and I admit missing the distilled, brutal purity of the first entry’s A to B focus.